Midwest Institute is very excited to begin it’s new Surgical Technologist program in St. Louis. This program is an exciting career choice for someone who enjoys being part of a team and a fast paced environment in the medical field. According to the Bureau of Labor statistics employment of surgical technologists is projected to grow 30 percent from 2012 to 2022, much faster than the average for all occupations. Advances in medical technology have made surgery safer, and more operations are being done to treat a variety of illnesses and injuries. Midwest Institute’s program will meet the demand for qualified surgical technologists in St. Louis. If you are considering surgical tech as a career you will need to have the following attributes. This job requires a person to be detail oriented, have strong stress management skills, have dexterity and physical stamina. Working in an operating room can be stressful. Surgical technologists should be prepared to work well under pressure while providing a high level of care. This can be a highly rewarding career for the right candidate. Midwest Institute has been training graduates successfully for their medical careers for over 50 years and is now one of very few surgical tech schools in St. Louis. If you are interested in this program contact our admissions department or fill out an information request form on this site. 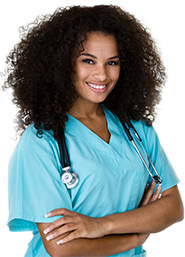 Let us help you begin your new career as a surgical technologist in St. Louis.